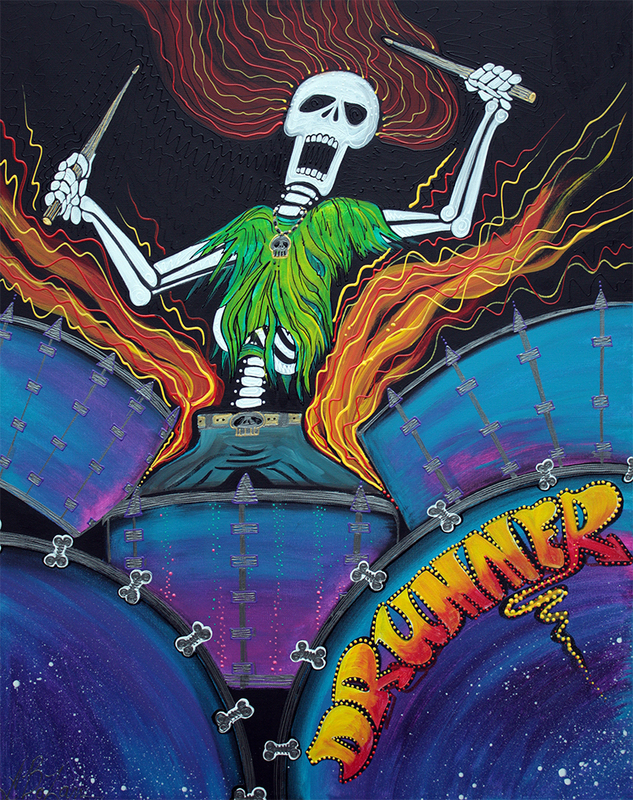 Drummer Of The Dead is a tribute to all the musicians out there who love to play the drums! Painted in cool skeleton style, this is a colorful graffiti type art that also sings tattoo me! Original Character Art by Laura Barbosa.